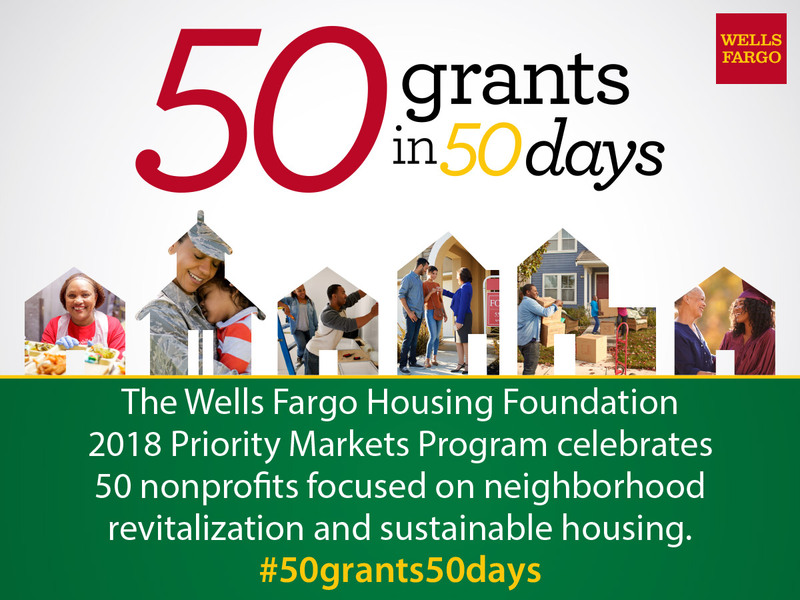 Priority Markets Program awards 50 grants to nonprofits across the U.S.
SAN FRANCISCO, October 9, 2018 /3BL Media/ – Wells Fargo & Company (NYSE: WFC) today announced $6 million in neighborhood revitalization grants to 50 nonprofits through the Wells Fargo Housing Foundation 2018 Priority Markets Program. The 2018 Wells Fargo Housing Foundation Priority Markets Program supports projects, programs and initiatives focused on neighborhood revitalization and helps remove barriers to sustainable housing in low- and moderate-income communities. Since 2009, the program has donated grants totaling $54 million to nonprofits in more than 125 communities.